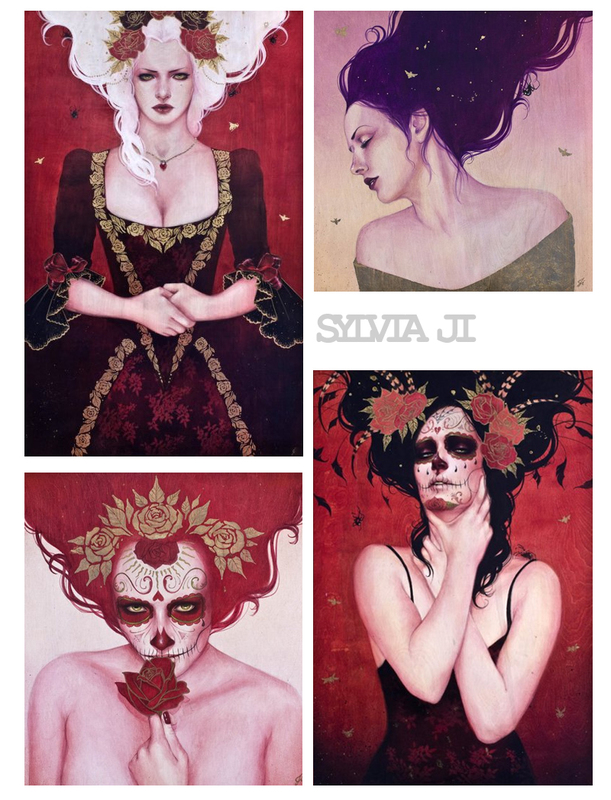 This past Saturday I went to see the Sylvia Ji's show at corey helford gallery. She's so freakin talented, and her paintings are just breathtaking. I didn't have 7k to drop on a painting. One day, I assure you, I will have that luxury. For now though, I am happy with my giclee prints. Also, I've been so busy working 14 hour days practically, and having 0 personal time other than to shower, eat, and sleep. Hopefully my schedule will start to normalize over the next few weeks as I start to get a little more used to having 2 jobs and driving from camarillo to downtown la. It's totally worth it though, I really like my job and coworkers. Hopefully an outfit post tonight!